A map of the world? Why did the King need one of those? Besides, everyone knew that if you went too far in either direction you’d fall off the edge, and if that didn’t kill you Genesi the dragon of death would be waiting.The King is determined to discover what lies beyond the known world, and has promised a handsome prize to the ship’s captain who can bring him a map of the whole globe. To do that, they’ll need mapmakers - and 14-year-old Quinn is shocked to be one of the chosen. While his older brothers long for adventure, Quinn is content with a quiet life on the farm, but when word of his special talent gets out, he has no choice but to pack his bags and join the mismatched crew of slaves and stowaways on board the Libertas. The king has declared a competition: the first person who can deliver to him a complete map of the world will receive whatever they wish, be it money, power or fame. 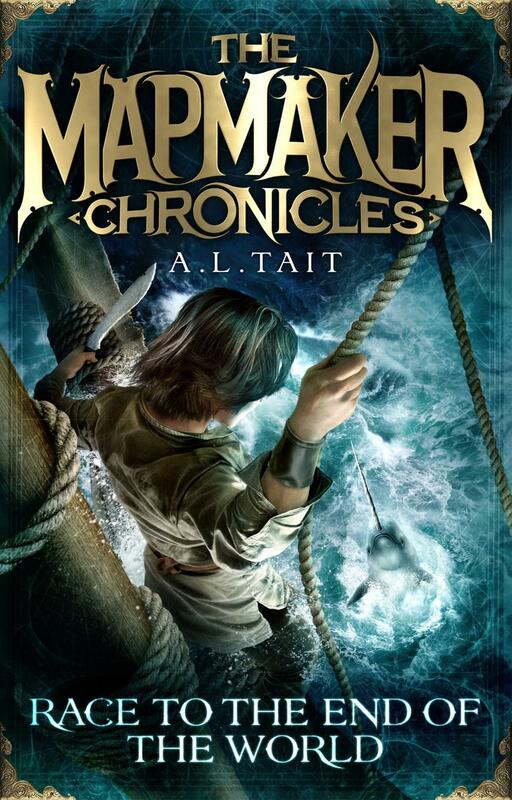 After Quinn is picked to train as a mapmaker, he soon finds himself aboard the Libertas, bound for adventure. But surviving the treachery of the other contestants will be hard enough, even without the dangers of undiscovered lands. Part fantasy quest, part peril on the high seas, Race to the End of the World is rollicking fun. Not since Emily Rodda’s Deltora Quest series has there been such an exciting adventure tale from an Australian author. Echoes of Robinson Crusoe make this feel like a classic with a new twist, and it’s perfect for readers aged 8 to 12 who are looking for some escapism in the sea of contemporary stories. Monsters, stowaways, jealous courtiers and lost islands – this is a great start to a series that promises a lot to come. Holly Harper is a children’s bookseller at Readings Carlton. She also writes books for younger readers under the name H.J. Harper.